Wrap up in a Coat from Joe Browns - Reclusive Fox ""
It’s certainly getting colder and I’m definitely feeling it as I wait for at the bus stop. With that in mind I decided it was time to find myself a new coat to see me through the winter. 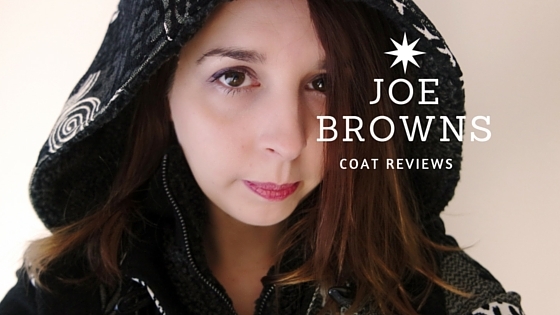 Having seen plenty of gorgeous coats from Joe browns in recent years I decided to check out their offerings and I picked two as it was so hard to make a final decision. The first one is the Joe’s Favourite Coat. I figured it must be a good one with a name like that. I was worried about sizing as many reviews on Joe Browns do mention sizing issues, so I ordered a size up, size 14. 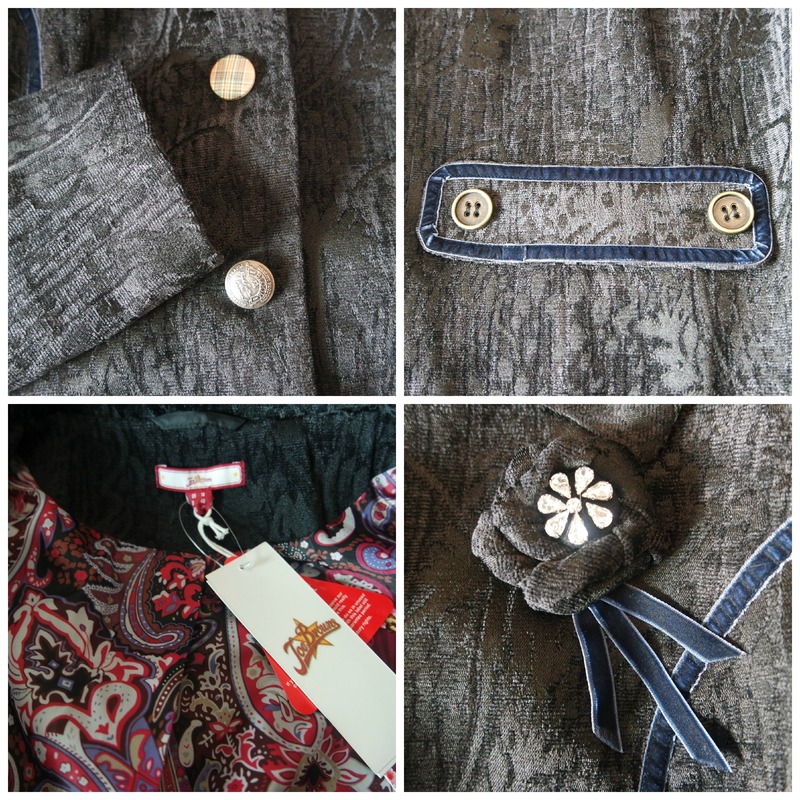 The coat is made with a gorgeous brocade fabric that has an almost velvety feel. The collar is also interesting and the lining is beautiful, but there are a couple of issues with this coat that I do feel like mentioning. Firstly, if you, like me, have to spend time waiting for public transport I don’t think this is a coat that will see you all the way through winter. It’s not very thick, but if you can leave the house and jump into a car then it’s probably perfectly fine. If you want a coat to wear for evenings out then this would be a good choice. It’s unusual, beautiful and elegant. Another point is the sizing. I am a size 12 and as I said I ordered a size 14 and this is a good size if you’re going to be wearing thick jumpers underneath. However, if you’re just wearing a thin top I do recommend buying your actual size as without a jumper it does feel a little too loose. Having said that, I don’t have a big bust so please bare that in mind. 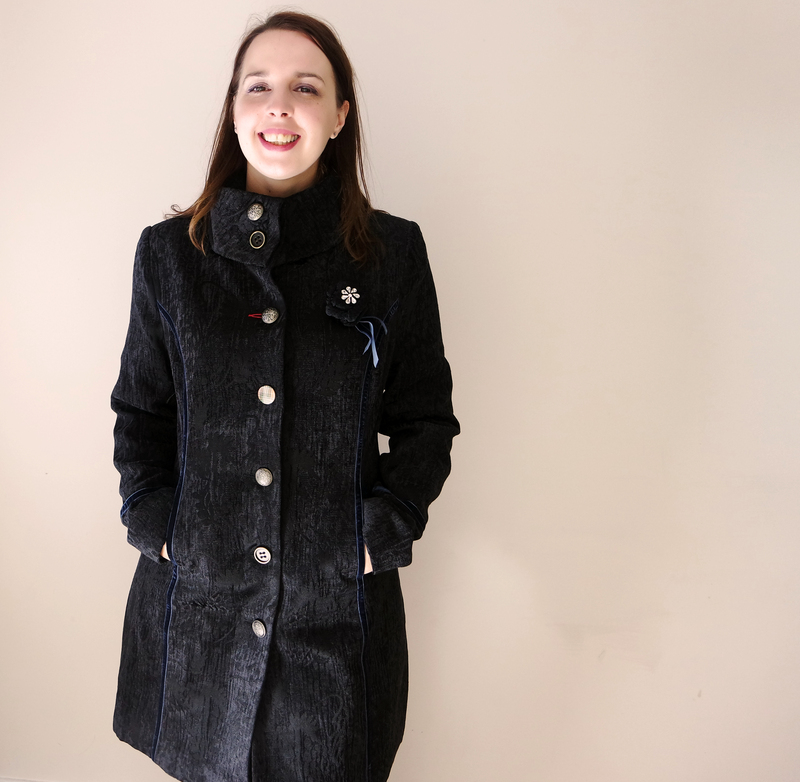 The coat has mismatching buttons and a removable corsage and an interesting collar that is a little bit fiddly to do up – each button has to go through two button holes, not too much of a hassle but then a bit of an annoyance if you’re feeling a chill. The second coat is my absolute hands down favourite. The Freestyle Funky Duffle coat is a limited edition and one that I recommend you do snap up if you like the style of it. 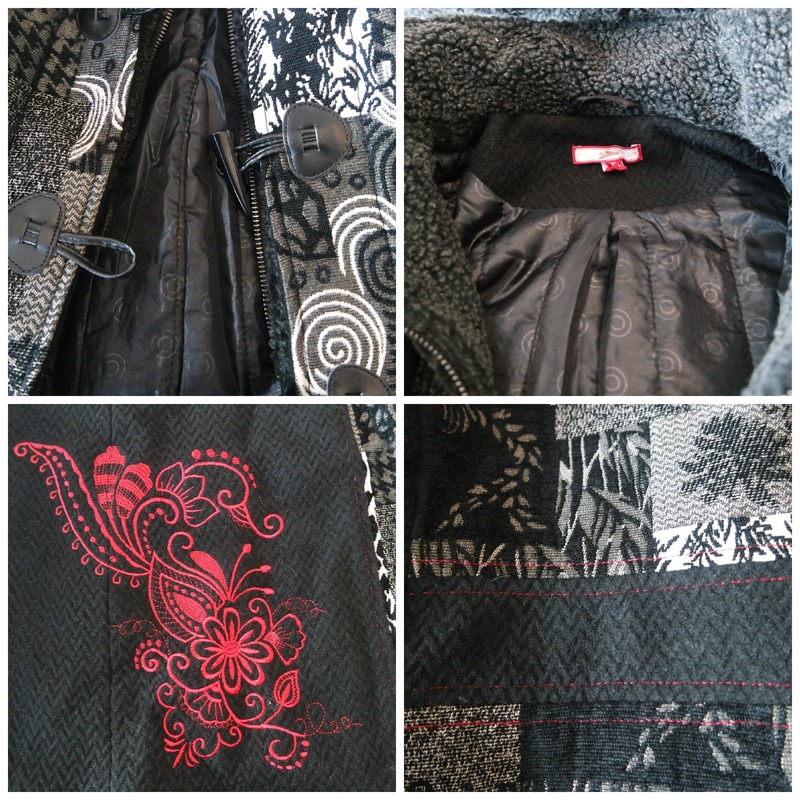 The coat is made from a mixture of fabrics all set off against a black fabric and there’s an attractive red embroidery detail on lower right hand side that adds a certain something. This is a warm coat that has a zip and toggle fastenings along with a zip off hood. 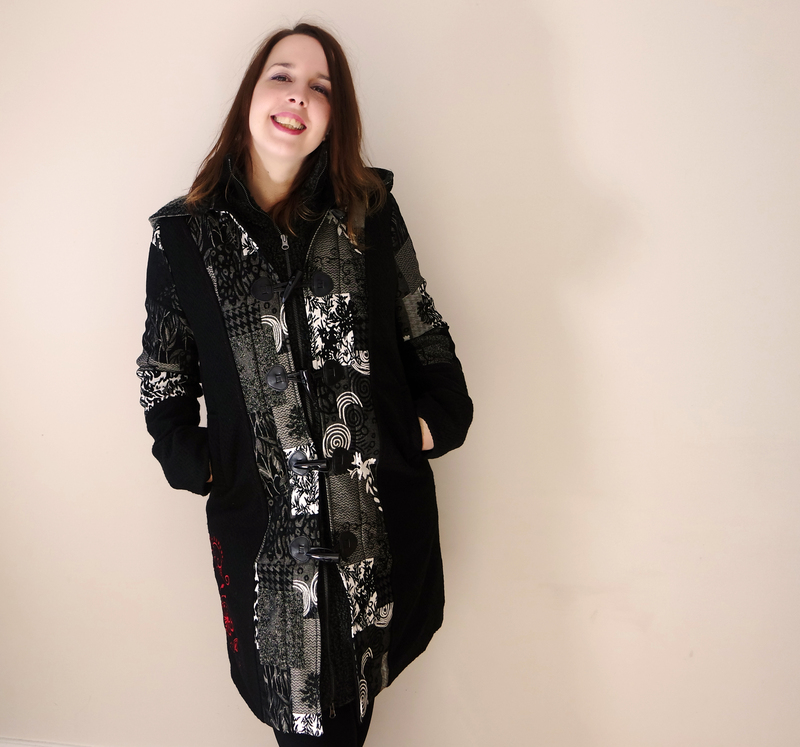 I ordered this coat in a size 14 too and perhaps I could get away with a 12 because it’s warm enough not to need a thick jumper unless the temperatures were to really drop. This is the coat that is going to keep me cosy and warm when the bus is late and I’m delighted with it. The relaxed duffle style makes it easy to dress down but the quality fabrics mean it will work with smart dress too. I adore Joe browns. They offer clothing that is different from the high street offerings and they fit in with my personal style. Both coats offer great value and are well made with quality fabrics. If you’re after a coat I do recommend you check out their offerings. Contains an affiliate link in the last paragraph. Oooo I’ve not heard of Joe Browns. Love both styles <3 Maybe the second one more as I always go for plain clothes.